If you are a digital designer, chances are that you will have to stock up on media kits, fonts, and many other resources and tools on a daily basis. It is important to not only know the latest trends but also keep yourself up to date on what is happening in the world of design. We are back again with a fresh collection icon sets, new typefaces, illustrations, UI kits for Sketch, HTML pop us, PSD templates, beautiful landing pages, and many other helpful tools to help you enhance your work and improve your design flow. These fresh list of top 14 resources are not only a must-have for this year but can help over the course of your design career. This colorful collection of icons by Flaticon can make your web designs so much better. The pack comes with SVG and PNG files so it can be used on a variety of project types. Colors can be easily changed and icons can be customized to suit your web design projects. The pack can be downloaded for free on their site. Pablo Stanley created this amazing public library of human illustrations. All the figures can be customized by changing their hairdos, seating arrangements, outfits, skin color etc. This pack can be downloaded for free and used for commercial and personal purposes. This error illustrations kit provides several screens to let the user know that there has been an error. The message is conveyed using a series of multi-colored illustrations. This pack is designed by Teks Mobile and can be downloaded on their site. These bright and multi-colored illustrations are designed by Iuliia Mazur. These are hand-drawn and digitally edited by the designer and can be used on packaging, posters, web projects, prints and more. This PSD mockup of the word Fresh and the plant elements is created by Andrew Skoch. It contains layered files that can easily be customized to suit the needs of your project. This pack consists of 5 simple hi-res fabric brushes. These brushes can be used to customize the background of an image and comes in different tones ranging from bright to slightly dark and medium. When used correctly, it can help create realistic surface patterns that can save you a lot of time and effort. These subtle scanline patterns can be used on your images to create an interesting texture for your background. This is one of the most useful resources I have come across in a long time! It allows users to generate color hex codes from a web page. This is usually done with the help of an eye dropper tool that lets you choose and customize a color palette from a web page you have just come across. This plugin can be downloaded for free and the company also offers a ultimate gradient plugin that allows users to generate gradients from a page. Designers draw a lot of inspiration from just browsing the internet. If you are like me, then you must have come across many amazing web sites and pages that you’d want to use in your designs. With the help of this plugin, you can figure out the size of the elements, how its layout out and the dimensions with which they are designed. It helps the user draw out a ruler onto a web page making it easy for us to see how the elements can be translated onto a template or a theme. This free PSD mock up comes with a variety of buttons, forms, toggle keys and form essentials. These can easily be integrated into your PSD or Sketch template. The layered file allows for easy customization. Looking to add 3D text effects to your typeface? This psd file allows you to generate 3D texts, add texture and change backgrounds as needed. The layered psd file comes with different elements that can be easily customized to fit your needs and can be downloaded and used to free. Screely allows your to turn your screenshots into beautiful mock ups. All you have to do is upload an image and let the web app convert it into a mock up. You are able to choose from 3 different screen sizes, customize or change the background and download it off of the internet. If you are looking for a better way to save and present your screenshots then you should give screely a try! Showitbetter is a great website that can help you showcase your work better. 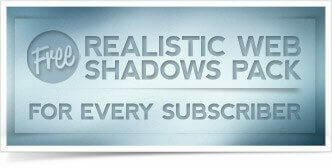 They offer different PSD mock ups that can downloaded off of their site. These hi-res PSD files are easy to use and can be edited and customized to present your work. All you have to do is copy-paste your artwork or an image and voila you have a customized mock up! If you are looking to create a beautiful presentation template then you should check out these free templates. They are easy to customize and are organized by category to help use pick the one that best suits his or her project. Using pre-made templates can help you craft professional and artistic looking templates that sometime takes a lot of time to create when starting from scratch. So make sure to check these out before you start working on a ppt. 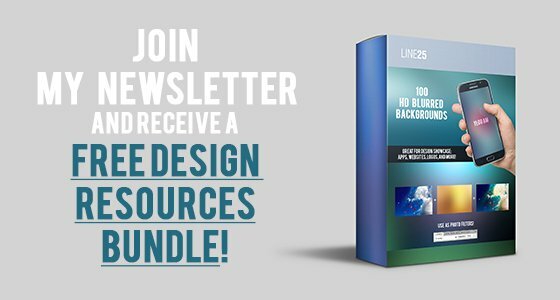 There are hundreds of templates to choose from and most of them are free for commercial and personal use.